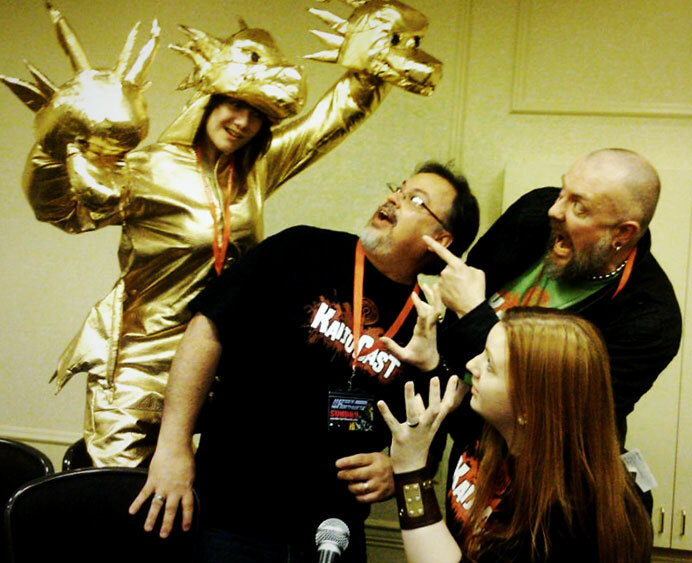 King Ghidorah invades Portland's Pop-culture expo, Wonder Northwest. Luckily, Heather, Jeff and Kyle were on hand to repel the space monster! Although it does look like we're just screaming, doesn't it? Yes, we are repelling the monster with our screams. It’s a landmark occasion, people…. our first ever podcast recorded LIVE in front of an audience. Specifically, this was the audience for our podcast from Wonder Northwest, Portland’s own Pop-culture expo. It was a LOT of fun, so I am really looking forward to doing more of these in the future (like in San Francisco and Chicago). We only had about fifty minutes to actually record, so there won’t be any real news or other local events talked about in the podcast, but there are things that you should know, so I have added a few items down below that should definitely be checked out. Oh, and this is a very music light episode. I wasn’t going to make the fine people and listeners of Portland sit through songs while we three picked our collective noses on stage, so I added one whoppingly awesome song at the very end of the podcast to round out the whole thing to about an hour. Seriously, though. The live show was a blast and we are looking forward to many more of these in the coming years! Now stop all of this reading and get on with the clicking! BAFE King Kong vs. Godzilla Screening and much, much, much, much, much more! Official Kaijucast Tumblr page thingy! Oh, and if you are local to the Bay area, don’t miss the listener party! All of the deets are here!